Also I got your package this week! Thank you so much! 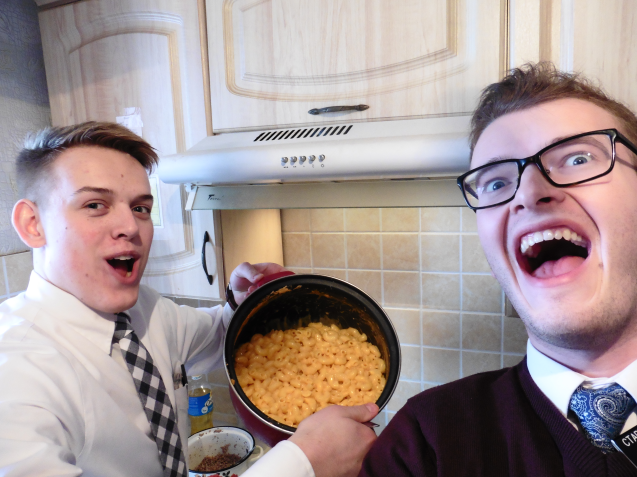 We made Mac and Cheese, and Elder Rybitskyi enjoyed it! Here is a picture of Elder Griffeth and I. ← Elder I. Batman: Miguel is Baptized!